Affinity Urgent Care offers after hours pediatrics services for those times when medical attention for your little ones simply can’t wait. Conveniently located in Texas City, Texas, our clinic is open seven days a week during flexible hours to make it easy for your kids to get the health care they need when they need it most. Our dedicated medical staff is committed to providing your children with quality medical care in a quick and convenient manner, allowing you to get in, get out, and get on with your busy schedule. 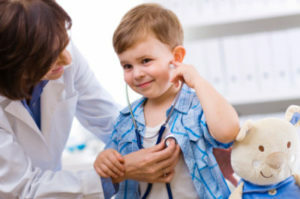 What’s more, we also offer on-site X-ray examinations and EKG tests, so you won’t have to worry about visiting another location to get your child the comprehensive medical treatment he or she needs. And, to ensure your visit with us it’s as stress-free as possible, we accept most major insurances as well as all major credit cards and offer one of the best self-pay rates in the area. For after hours pediatric care you can feel good about, visiting Affinity Urgent Care in Texas City, TX. In the event of a life-threatening emergency, please visit the ER nearest you or call 911.